Soccer standout and biology major Olivia Colella ’16 will continue her research career in graduate school with help from the Bob McCloskey Insurance Big South Conference Graduate Fellowship. Olivia Colella ’16, a four-year starter on the women’s soccer team and a member of the Cormier Honors College, was awarded the Bob McCloskey Insurance Big South Conference Graduate Fellowship this spring, becoming the fourth Longwood student-athlete to receive the honor. The scholarship provides a $2,000 prize for graduate school, which Colella, a biology major from Herndon, will use to fund her studies in VCU’s Master of Science in forensic science program beginning in the fall. Previous Longwood recipients of the fellowship were field hockey player Amy Lewis ’13 and men’s basketball player Stephen Shockey ’13, who received the award in 2013, and women’s soccer player Taylor Cave ’15, who received the award in 2015. 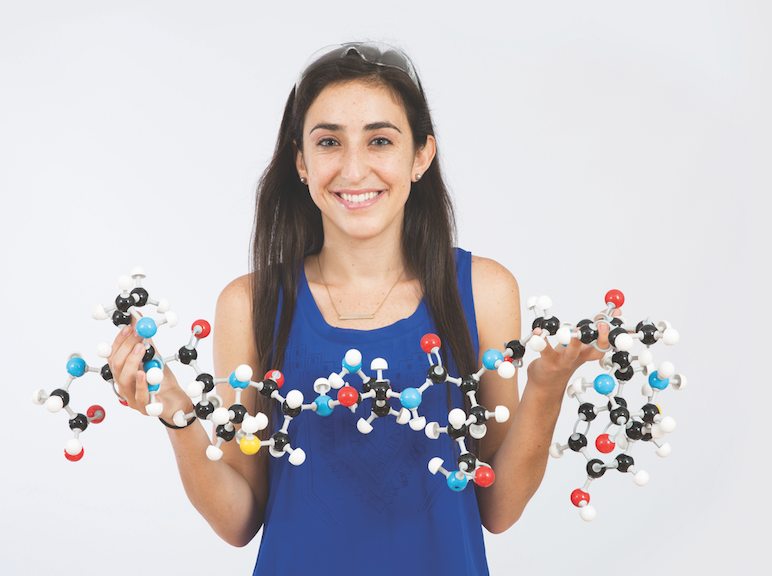 Colella’s graduate studies at VCU will be an extension of research she performed as a senior at Longwood under the direction of associate professor of chemistry Dr. Sarah Porter and assistant professor of biology Dr. Amorette Barber. Along with another student, Colella assisted Porter and Barber in creating a simpler, more cost-effective method of testing for gunshot residue using a three-part E. coli model organism. Colella received the Outstanding Senior in Biology award from Longwood’s biology department and served as a teaching assistant for a genetics class. She is a member of the Alpha Chi Sigma professional fraternity, which specializes in the field of chemistry, and has worked as a volunteer for Relay for Life, Operation Christmas Child and the Wounded Warrior Project. As strong in her athletics performance as in her academic work, Colella appeared in 78 games during her Longwood career, accumulating 33 points, 12 goals, nine assists and nearly 5,000 minutes on the pitch. A team captain, she earned Big South first-team honors and Big South All-Tournament Team recognition as a senior.